While the number of women owned businesses continues to grow, the challenges women face when becoming entrepreneurs are unique. Fortunately, there are number of easily accessible resources focused on helping women secure funding, gain eligibility for government contracting, and making the right business connections. Every year the world sees more women-owned small businesses popping up. However, while growth is present, women run only 39 percent of privately owned firms in the U.S., showing there’s still work to be done toward equality. Fortunately, there are also a number of easily accessible resources which cater to the unique challenges women face when building their businesses. Read on to learn more about growing your business by certifying as a woman-owned small business and accessing the many resources available for women who are leading businesses. To learn more about the state of women-owned small businesses, check out our Women in Business Trends report. Even with more women entering the world of entrepreneurship every day, there’s still a lot of work to be done for women and other marginalized groups to attain equal representation in small business. However, the federal government recognizes the systemically unfair disadvantages for these groups and has programs in place to help level the playing field. It’s important to note that while the program makes you eligible to compete for these contracts, you’re also still able to compete for any other federal contracts you qualify for. In other words, you’re in no way limited to contracts designated for WOSB. The list of industries that qualify as underrepresented by women business owners is extensive. Even if you’re opening a business, which might be considered traditionally female, there’s a good chance yours may be included. See the full list here. How do I register as a Woman-Owned Business? Qualify as a small business by government contracting standards. At least 51% owned by women. Women are in charge of day-to-day operations and decision-making. Meet the above WOSB requirements. Be owned and controlled by one or more women, each with a personal net worth less than $750,000. Be owned and controlled by one or more women, each with $350,000 or less in adjusted gross income averaged over the previous three years. Be owned and controlled by one or more women, each with?$6 million or less in personal assets. As with most SBA programs, you have the option of either self-certifying or working with a third party. If you choose to self-certify, you’ll be asked to answer a number of questions and provide documentation about your business. Visit the SBA website to get started. Not surprisingly, one of the most important steps to ensure success for your business is to secure adequate financing. For women business owners, financing is an especially rocky landscape. With a mere 2 percent of venture capital funding going to female founders, women often look to either self-fund or find alternative financing arrangements to support their operations. Here are a few small business funding vehicles built to better support woman-owned businesses. Some grants can’t be used for start-up costs. Many grants are specific to industry or business activity. 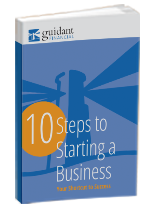 While grants are a great way to grow your business, the total amount is often not enough to cover all start-up costs. SBA loans provide up to $5 million in small business funding for qualified borrowers. Though the SBA doesn’t fund the loans directly, they do guarantee up to 80 percent of loan — reducing the lender’s risk and encouraging banks and credit unions to provide favorable rates and terms to small business owners. While there aren’t SBA funds specifically designated for women business owners, there are a number of resources to turn to when working through the difficult application process. Most notably, the SBA has over 100 Women’s Business Centers across the country, which provide training and resources for female entrepreneurs. Gender-bias and systemic disadvantages have definitely played a negative role in equitable funding for woman-owned businesses. Which is why funding methods with low barriers to entry are a good way from women to get the funding they deserve and quickly. Rollovers for Business Start-ups (ROBS) definitely fits the bill when looking for bias-free funding vehicles, because (essentially) the only requirement is that you have $50,000 or more in a rollable retirement account. ROBS, also known as 401(k) business financing, makes it possible for entrepreneurs to access their retirement money for small business funding — all in a tax and penalty free transaction. The entire process can only take a few weeks and there are no interest payments to make; ROBS isn’t a loan. It’s debt-free funding. ROBS can also be combined with other funding methods to increase your overall buying power as a woman in business. For example, an aspiring small business owner who wants the buying power of a SBA loan, but doesn’t have the 20 to 30 percent down payment, can get the initial cash injection through a ROBS transaction. Once the ROBS process is complete, that cash can be used as the down payment on a small business loan, greatly increasing attractiveness and eligibility as a borrower. An essential element of growing your business is effectively managing your finances, and a large piece of that is understanding all of your business’s tax nuances. The first thing to know as a female business owner, is that contrary to what you’ve likely heard, there are no tax breaks specifically for woman-owned businesses. However, as a new business owner, there are tax breaks and deductions you should be aware of. Whether it’s state specific, related to your start-up expenses and supplies, or if your business has a retirement plan, be sure to educate yourself on your options and work with an experienced small business CPA in order to maximize your tax deductions. Life as an entrepreneur can be a lonely business, and it’s no exception for women who might face additional struggles along the way. However, going into business FOR yourself shouldn’t mean going into business BY yourself. Familiarize yourself with these resources built specifically to help women grow their small businesses. National Women’s Business Council (NWBC). Beyond serving as a third-party advisor to the U.S. government regarding issues of impact for female entrepreneurs, the NWBC has many resources and events to support and education women in business. SBA Women’s Business Centers. As mentioned above, the SBA has about 100 centers around the country, which exist to support women who are seeking capital for their business. Female-forward co-working spaces. Coast to coast, there are a growing number of co-working spaces that cater to the needs of women entrepreneurs. With onsite education, networking, and funding opportunities, establishments such as The Riveter and The Wing are making it easier for women business owners to build communities of like-minded entrepreneurs and gain access to resources most needed for their businesses. If you’re woman with a business idea and a passion for entrepreneurship, don’t let gender-specific challenges slow you down. As with any entrepreneurial journey, there will be high highs and low lows, but with the right resources at your disposal and the knowledge of where to turn for help, you’ll be on the path to success.